In this post, I’ll share with you 15 essential oils for skin care. These oils will help you keep your skin looking young, smooth, healthy, and wrinkle-free naturally! I hate makeup. 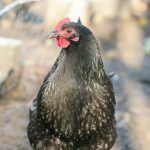 Maybe it’s because of my homesteading lifestyle… It just doesn’t fit when you are sweaty and in the barn cleaning animal poop. When I clean up to go somewhere I never apply makeup. It’s itchy and uncomfortable. And even looking back at my high school years when all the girls started pampering themselves, I was never interested in that kind of stuff. As I grew up, I figured that if I wasn’t going to cover up the imperfections with makeup, I better take care of my skin so it looks good without it. I was neglecting my skin for years by then but thankfully I had my doTERRA oils at hand and there are a very large number of them that will support a smooth, clear, even, and overall healthy skin. I buy oils like I pay my mortgage… On a monthly basis, so little by little I collected all of the oils we will go over below. DoTERRA oils are 100% pure and come from plants that grow in their native environment so they are very powerful. Because of this we only use a tiny bit and the bottles last a while. So now I have all these oils and every morning and night I’ll choose one or two to apply on my face. Please note, that all of the oils mentioned below have many many health benefits but in this post, we will concentrate on their benefits in regards to skin care. Wild Orange – this oil is cold pressed from the peel of the orange. It is known for its ability to cleanse and purify. Basil – just like the wild orange, basil is also known for its ability to cleanse and purify. In addition, it is also cooling to the skin. Melaleuca – you might know it by the name Tea-Tree oil. We call it the skin oil, it is a great oil for any skin issue. It’s known for its cleansing and rejuvenating effect on the skin. Yang-Ylang – derived from the star-shaped flowers of the tropical Ylang-Ylang tree. It soothes, nourishes, and protects the skin. Coriander – This oil comes from the seeds of the cilantro herb. Cilantro seeds, aka coriander, are collected for use in the kitchen as a spice or in medicine. Coriander seeds are known for their toning, soothing, and rejuvenating benefits for the skin. Cypress – Derived from the branches of the tall evergreen Cypress tree. This oil contains monoterpenes, a class of organic compounds found in conifers that is very beneficial to oily skin. Like coriander, it is known for its toning, soothing, and rejuvenating abilities. 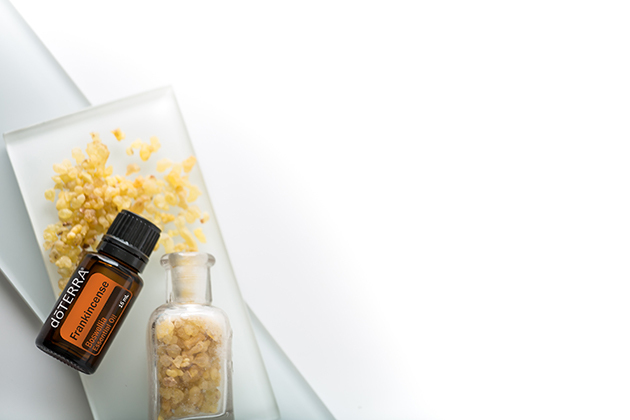 Frankincense – this oil is often referred to as “the king of oils”. It supports healthy cellular function, helps reduce the appearance of skin imperfections when applied topically, and rejuvenates the skin. Myrrh – derived from the resin of the small, thorny Myrrh tree. Myrrh is known for its cleansing properties, is very soothing to the skin, and promotes a smooth, youthful-looking complexion. It is known for its ability to help with stretch marks, fine lines, and wrinkles. Hawaiian Sandalwood – this oil is extracted from the wood of the Hawaiian Sandalwood which can be either a shrub or a full-size tree. It helps support healthy and smooth skin and reduce the appearance of skin imperfections. 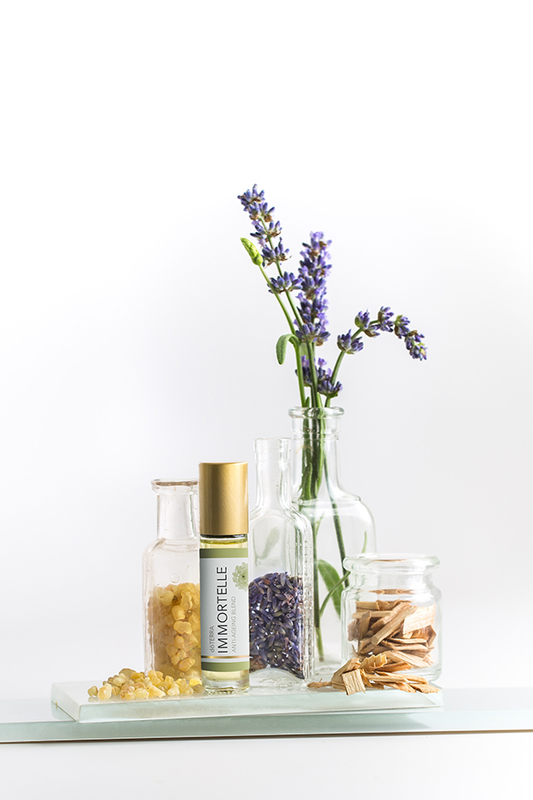 Lavender – steam distilled from the flower of the lavender plant, this oil is often considered a must-have. It soothes skin irritations and reduces the appearance of skin imperfections. Helichrysum – steam distilled from the golden flowers of the small perennial herb. Improves the appearance of the skin and is known for its restorative properties. This oil is often used in anti-aging products and is known as the immortal or everlasting flower. It can help reduce the appearance of blemishes and promotes a glowing, youthful complexion. 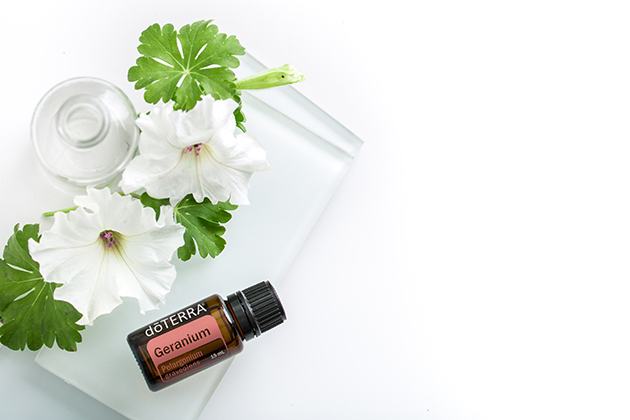 Geranium – this oil comes for just a few varieties of flowers from the Pelargonium genus. 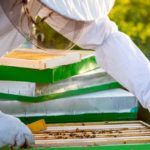 It helps improve the overall health of the skin making it glow, and has tightening properties, therefore, helps reduce the appearance of pores. Rose – this oil is distilled from the rose petals. It helps to balance moisture levels in the skin, reduces the appearance of skin imperfections, and promotes an even skin tone and healthy complexion. Juniper Berry – this oil is derived from the coniferous tree. It is shown to inhibit elastase, an enzyme that causes the appearance of aging in skin. It is also a natural toner and has a natural cleansing and detoxifying agent. Jasmine – this oil comes to us from “the king of all flowers”, the Jasmine. It reduces the appearance of skin imperfections and promotes a healthy-looking, glowing complexion. I do not have sensitive skin so personally, I apply them neat (undiluted) directly on my face. If your skin is on the sensitive side, you can always dilute the oils with coconut oil. I don’t have a set schedule. I have all of these set together on one side of my oil shelf and a few times during the day I will stop, choose one, and apply it. It is important to remember some safety rules… Don’t apply citrus oils (like Wild Orange) to exposed skin before going outside in the sun. The oil can cause changes in the pigments of the skin. Don’t ever put oils in your eyes, ears, or up your nose. When you apply the oils make sure you are not getting too close to your eyes. 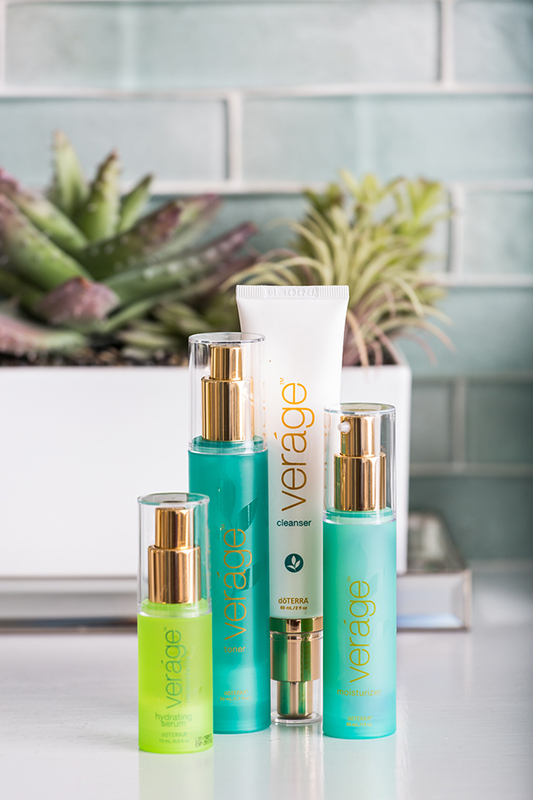 You will find all of the oils mentioned in this list in doTERRA’s Verage Skin Care Collection. It includes a gentle cleanser, toner, Immortelle hydrating serum, and a moisturizer. If you are more comfortable with a skin care routine that includes products that are based on the above oils, this collection will be a great place to start. The cost for doTERRA members is $84.50 for all four products. I personally do both, I use the collection after I shower and apply the oils a few times during the day whenever I remember. You can decide to start with a few oils and expand your collection little by little. It’s really up to you. If you like making your own DIY skin care products, check out my simple homemade face scrub and face wash.
Also, doTERRA has an amazing blend that is called Immortelle. It is an anti-aging blend that is made of frankincense resin, Hawaiian sandalwood, lavender flower, myrrh gum resin, helichrysum flower, and rose flower essential oils. We talked about the benefits of those amazing oils above, combined together they make a powerful blend that reduces the appearance of wrinkles and helps sustain smoother, radiant and youthful-looking skin. For a 1:1 wellness consult with me feel free to contact me at lee (at) ladyleeshome.com. We can work together to create a wellness plan that is specific for your needs. Also feel free to visit my doTERRA Essential Oils page for more information. I love my skin. I don’t think I’ve ever said that before. It took a little bit of time to bring it back to a good condition since I neglected it for so long but now my skin looks smooth, clear, clean, even, and fairly young. And it’s all because of those amazing gifts of the earth!